Created on 01/02/14, last changed on 01/02/14. This album contains 0 items. This album has been viewed 849 times since 01/02/14. 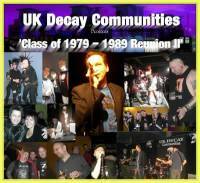 Digitised scans of some of the various compilation albums that UK Decay, Furyo and IN Excelsis have appeared on. Last changed on 10/15/13. This album contains 20 items. This album has been viewed 13292 times since 04/07/05. Created on 07/30/11, last changed on 10/15/13. 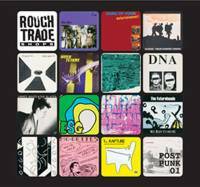 This album contains 26 items. This album has been viewed 4289 times since 07/30/11. Last changed on 10/15/13. This album contains 11 items. This album has been viewed 13162 times since 04/06/05. UK Decay Communities present "Class of 1978-1989 Reunion II" January 27th 2007 The Album of snapshots of the event, starting with shots of UK Decay in action for the first time in 25 years. Created on 01/29/07, last changed on 10/15/13. This album contains 155 items. This album has been viewed 15682 times since 01/29/07.